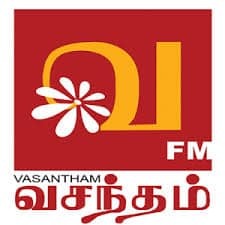 Vasantham FM Tamil Radio Live Online from Sri Lanka . It was Started on April 21, 2008 . It broadcasts tamil music , talk shows etc 24 by 7 online . Use Google chrome browser to listen this radio station in Smart Phones and all kinds of laptops . Address : P.O. Box 37 , Wickramasinghepura , Battaramulla , Sri Lanka .